Dr. Perumal completed his urology residency at SUNY-Health Sciences Center in Syracuse, New York, in 1984. He is certified by the American Board of Urology and is a Fellow of the American College of Surgeons (FACS). Dr. Perumal served as the chairman of the Department of Surgery at Seton Health System-St. Mary's Hospital, where he also has been a member of the executive committee for more than 10 years. 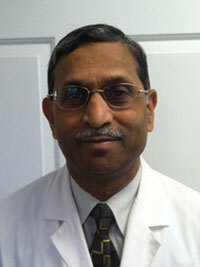 Dr. Perumal also serves as the medical director of the Incontinence Treatment Center of Seton Health in Troy. The Incontinence Treatment Center is the first of its kind in the capital district, specializing in nonsurgical conservative treatments for patients with urinary incontinence problems before considering surgical options. Dr. Perumal was instrumental in establishing various methods of lithotripsy treatments in Troy for patients with kidney stones. He has extensive experience in brachytherapy (radioactive seed implantation for prostate cancer treatment). Dr. Perumal has also served as a medical investigator for clinical drug trials and has served as a practice monitor for the Department of Health, State of New York-OPMC Division. 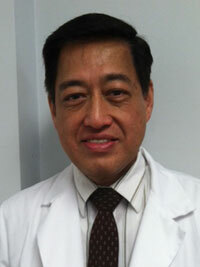 Dr. Almonte completed his urology training at Lenox Hill Hospital in New York in 1989. He worked at Winthrop University Hospital in Mineola, New York, until 1994, when he joined Dr. Perumal in private practice. Dr. Almonte is trained in all aspects of urology, including, urolithiasis, erectile dysfunction, urinary incontinence, and urologic oncology. He performs minimally invasive procedures such as lithotripsy , microwave treatment for benign prostatic hyperplasia (BPH), and brachytherapy, in addition to conventional surgical procedures. 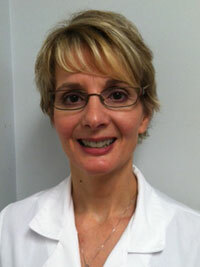 Ms. Tedeschi completed her physician assistant training at Albany Medical College, Physician Assistant Program in 1998. She is certified by the American Academy of Physician Assistants. Her special areas of interest in the field of urology are urinary incontinence, including urodynamic evaluation and nonsurgical treatment options such as biofeedback therapy and pelvic floor rehabilitation. Ms. Tedeschi has received special training in these areas.